Høgstein lighthouse Oc WRG 6s. Høgstein lighthouse was commissioned in 1857. 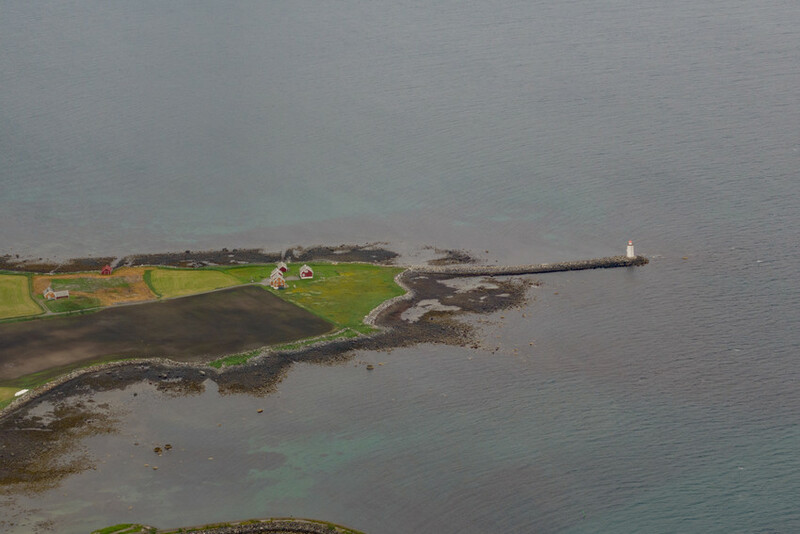 The work on the lighthouse station was extensive, taking all of three years, since it involved building a breakwater on an exposed reef. 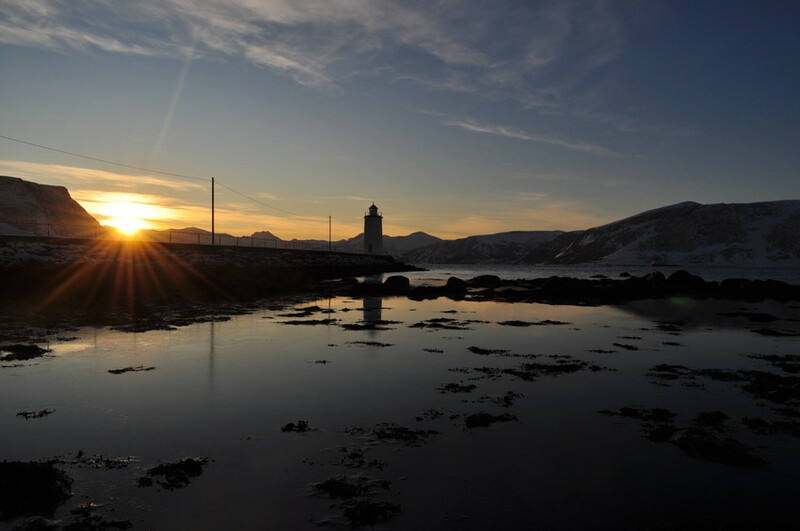 At the most 47 men worked on the lighthouse under the leadership of Ole Gammelsen Mork from Dalsfjord. 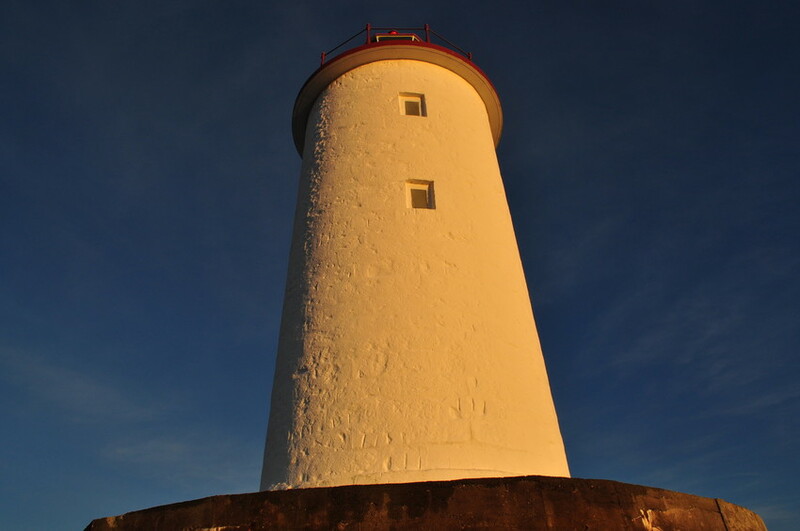 The 11-meter tall lighthouse was built in quarried stone and bricks from Holland. The lantern room was manufactured by Nes Ironworks. 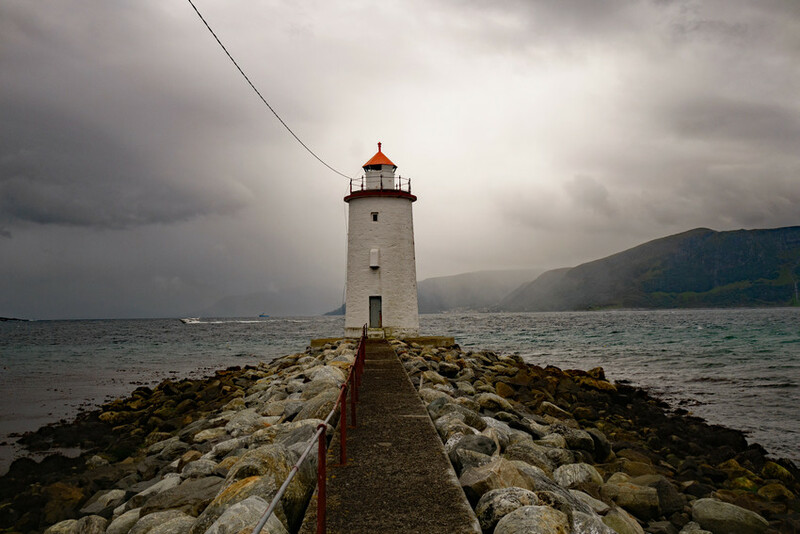 Hoggstein was the last lighthouse built by Ole G. Mork. 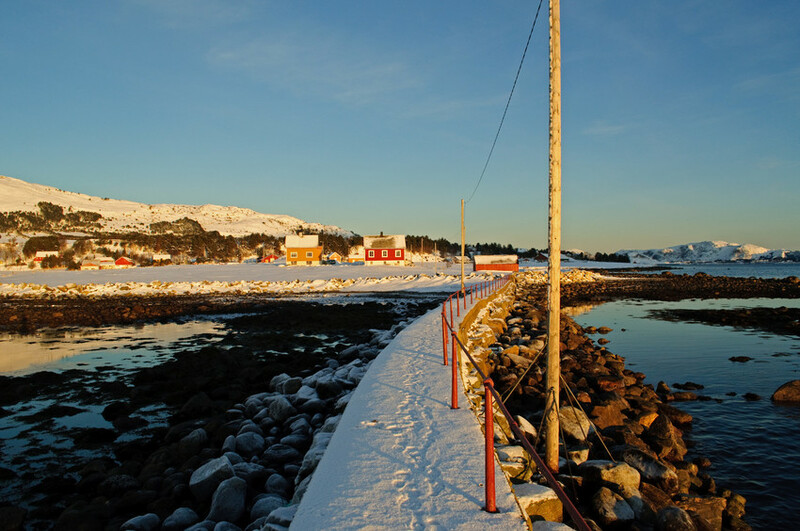 He applied for and was appointed to the position of lighthouse keeper here in 1857, a post he held for almost 30 years. The lighthouse was unmanned from 1905. The old tower served as a foundation. 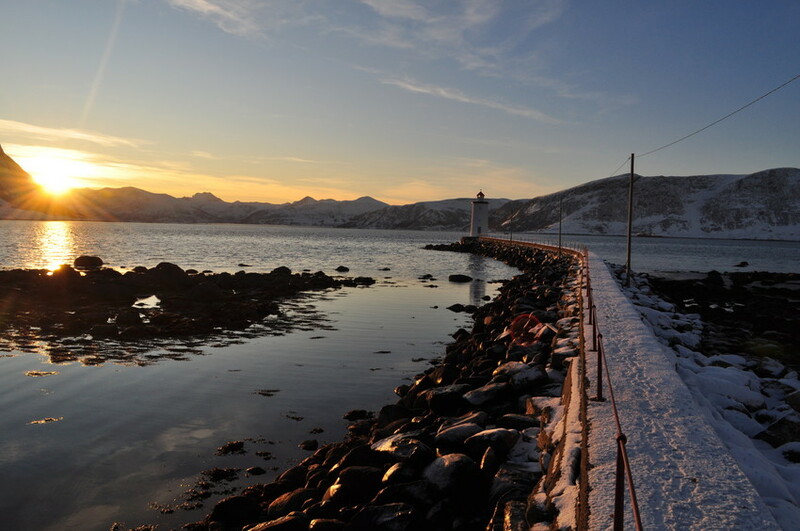 The Lighthouse Authorities’ properties on the island of Godøya were sold in 1907 and are still today in private ownership. The luminosity was increased in 1928 and the lamp modernised in 1953.